It’s getting exciting at Eccles Theater as fans get in line to grab tickets for this unmissable show! Of course, we’re talking about The Very Hungry Caterpillar Show! Now confirmed and on sale, here’s your chance to catch them on Saturday 12th January 2019! If the formula for a good life is to eat, drink and be merry, then why not add watch The Very Hungry Caterpillar Show to the equation to get the best out of life?! 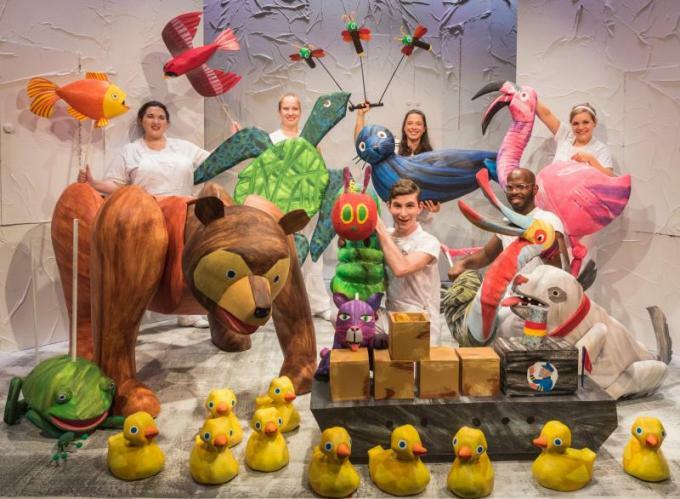 Indeed, add an enjoyable moment to your life by catching a performance run of The Very Hungry Caterpillar Show, at the Eccles Theater – Salt Lake City on Saturday 12th January 2019. This show is best enjoyed with friends, family, or loved-one in tow. Laugh, cry, sigh, or simply be entertained with the astounding production hailed by critics and loved by audiences. Book your tickets early to give you the best view or location where you, family, friends, or loved-ones could be seated together. Do not delay or miss this wonderful opportunity to enjoy life to the full!